Phytopathogenic fungi and fungal-like microbes occur frequently on moss and vascular plant species in polar regions. Characterization of the pathogens is important because they can affect individual growth and community structure in many wild plants. This review documents taxonomical and ecological features of phytopathogenic fungi and fungal-like microbes in Svalbard, a high Arctic archipelago. Among the 565 species of listed fungi and fungal-like microbes in Svalbard, at least 176 species have been found to be pathogens or potential pathogens of plants. 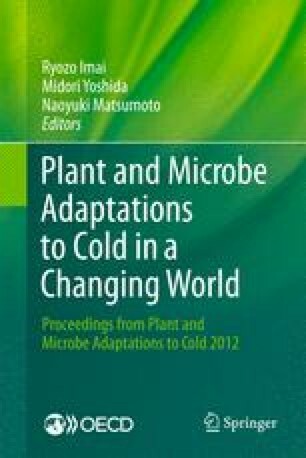 Recent studies reviewed here indicate that several plant pathogens in Svalbard show adaptation to cold environments and have a potential impact on plant populations in the high Arctic region.